Advice, ideas and stories from the world of Farris. We help you learn about our products and their uses in the kitchen. 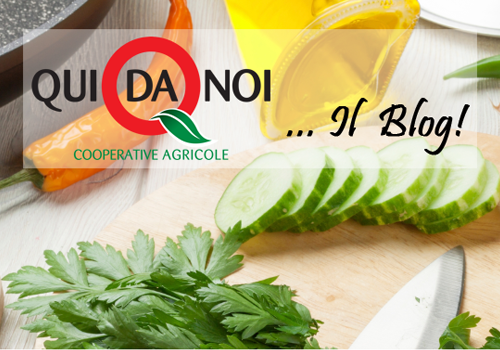 During this short show cooking demonstration, we prepared two dishes from traditional Apulian cuisine using some of our dehydrated products. Orecchiette with tomato sauce with semi-dry tomatoes and orecchiette and broccoli with dehydrated broccoli. 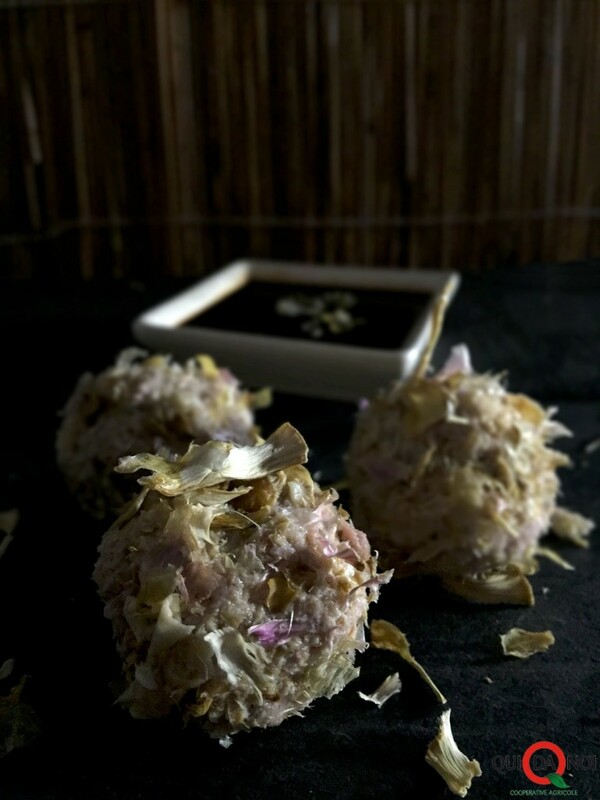 With our products, even you can become a chef and create unique dishes in only a few minutes! Cooking when it gets cold out means soups, purees and minestrones. Favoring seasonal vegetables is always best, but when there are no fresh vegetables in the fridge, Farris offers an alternative with dried vegetables and fruits. 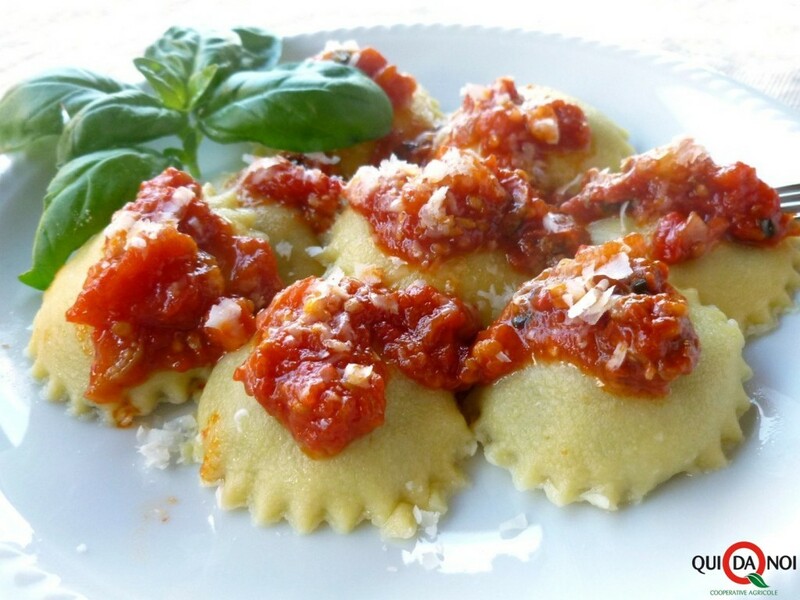 This is a simple, effective recipe that fits well in a party situation or a lunch for guests. 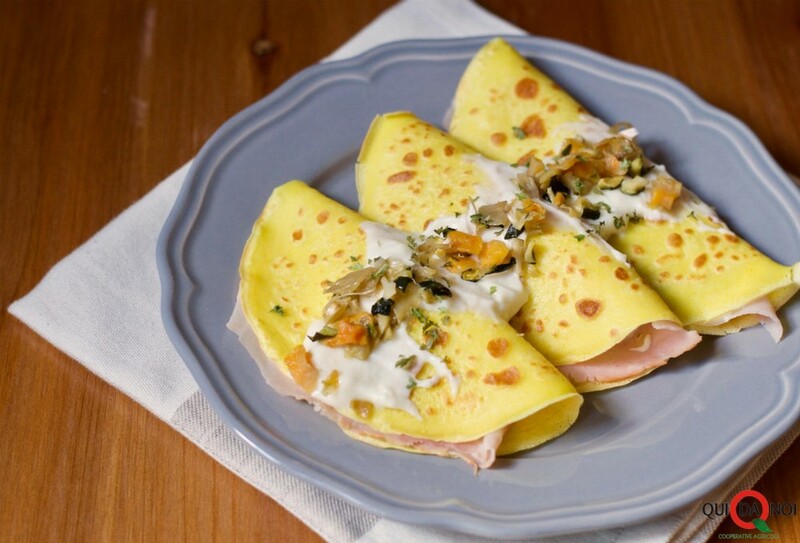 To make these tasty crepes filled with vegetables and ham, I used dehydrated vegetables from Farris, an Apulian company in the province of Foggia. When the cold of winter starts to arrive, it’s time for meals made of soups, purées and minestrones. Using seasonal vegetables is always best, but when you don’t have them on hand, Farris is there to help with its dried vegetables. 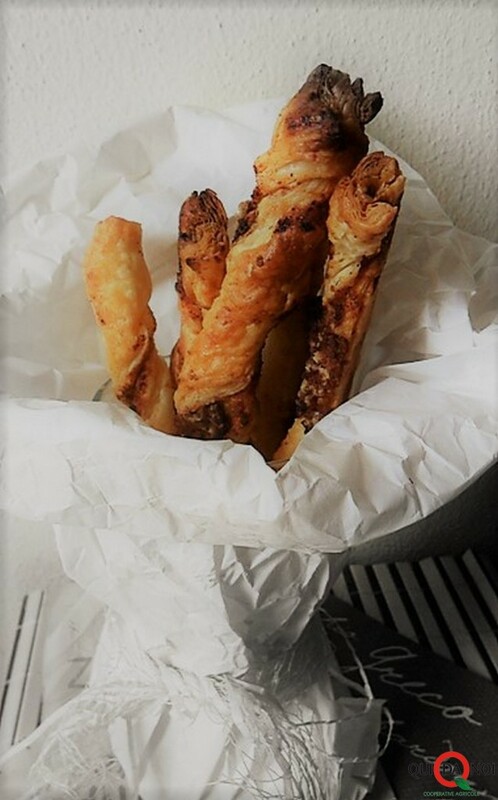 Ideal for aperitif or finger food at a party, they go great with a glass of Prosecco or sparkling Lambrusco. Parmigiano Reggiano and zucchini is a pair that needs no introduction. In this recipe, the salty, milky taste of one and sweet delicate taste of the other are wrapped up in soft, golden biscuits. 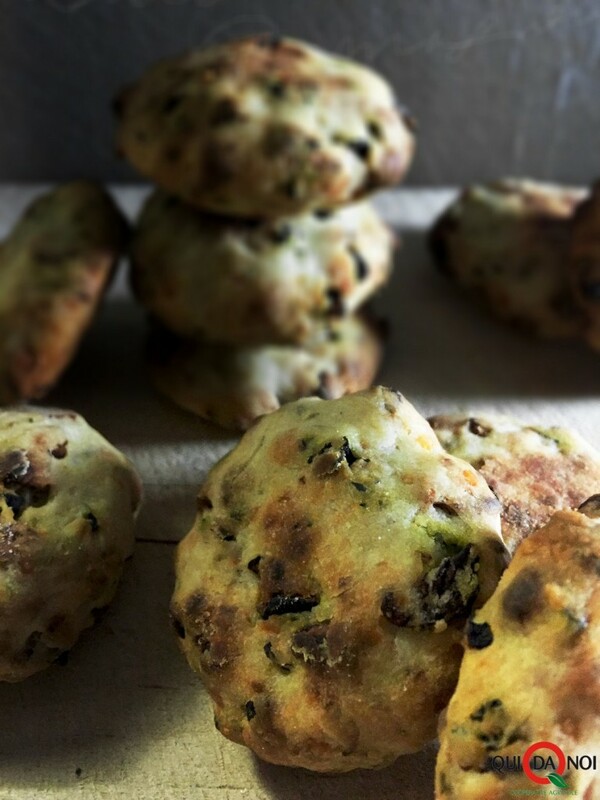 I made these savory biscuits with dehydrated zucchini and Parmigiano Reggiano in collaboration with Farris. Artichokes are rich in active constituents and boast many therapeutic advantages. They contain very few calories and have a high fiber content in addition to nutrients such as calcium, phosphorus, magnesium, iron and potassium. 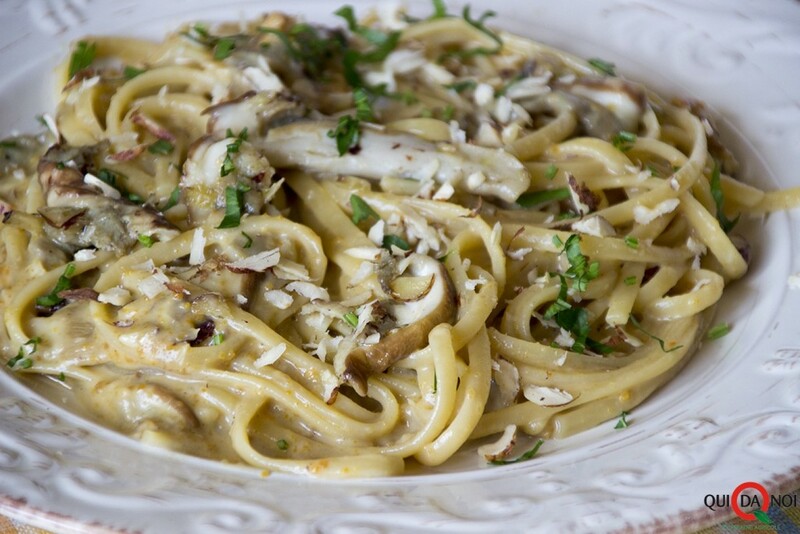 I made this recipe with the dehydrated artichokes from the company Farris. For the squid filling, we chose to use artichokes from the series of dehydrated vegetables from Farris, which, even after its drying process, has maintained intact all of the nutritional properties of the vegetable. 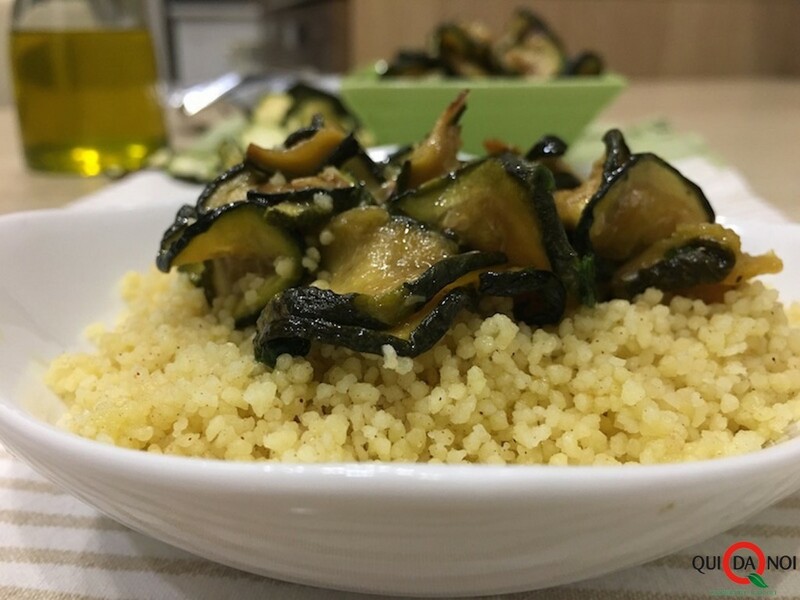 For this dish, I used the dehydrated zucchini rounds from Farris, which I cooked with olive oil, parsley and garlic and used to top my cous cous. This delicious and versatile vegetable is rich in fiber and nutrients and has a low glycemic index. For this reason, it is especially recommended for diabetics. 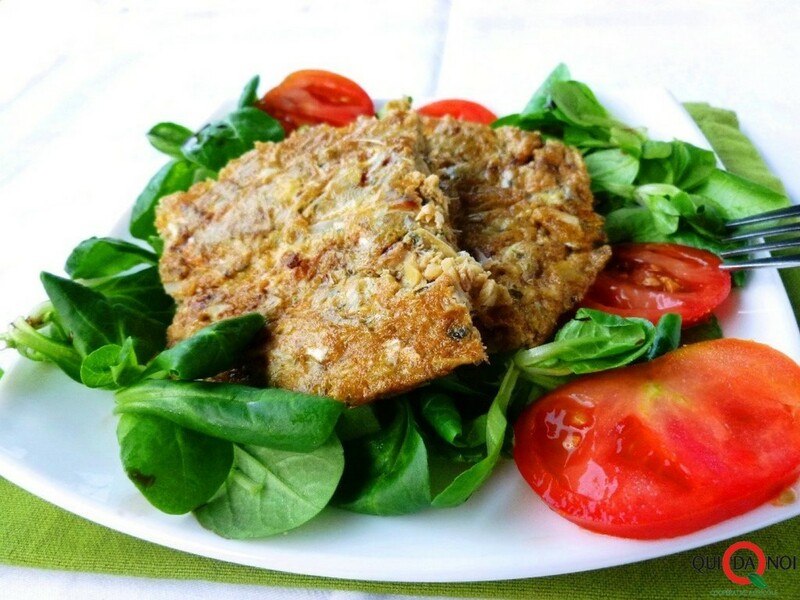 To make this recipe, I used the dehydrated cubed eggplant from the company Farris. 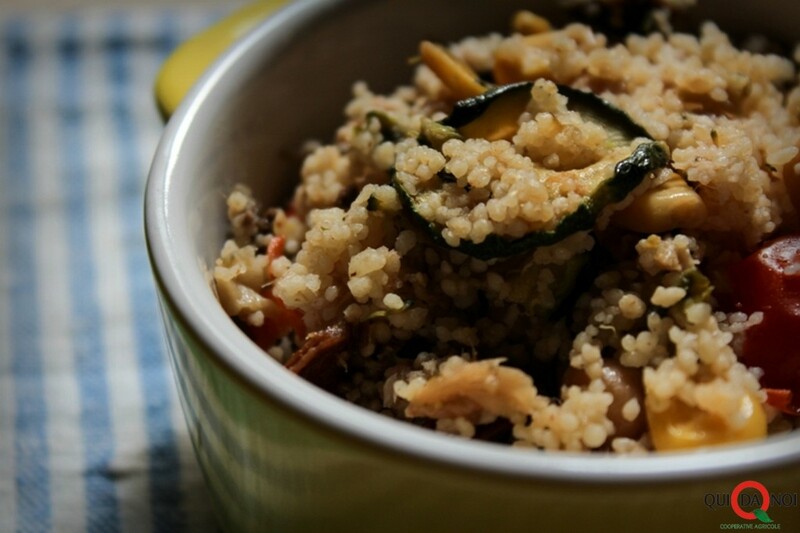 In this recipe, I wanted to use whole-grain cous cous to add flavor and fiber to a dish that still contains the colors of the past summer while also introducing those of the coming autumn with the use of dehydrated vegetables produced by Farris s.r.l., a young and dynamic Apulian company. Are artichokes good only when fresh or can they be an exciting ingredient even when all the water has been drained out of them? 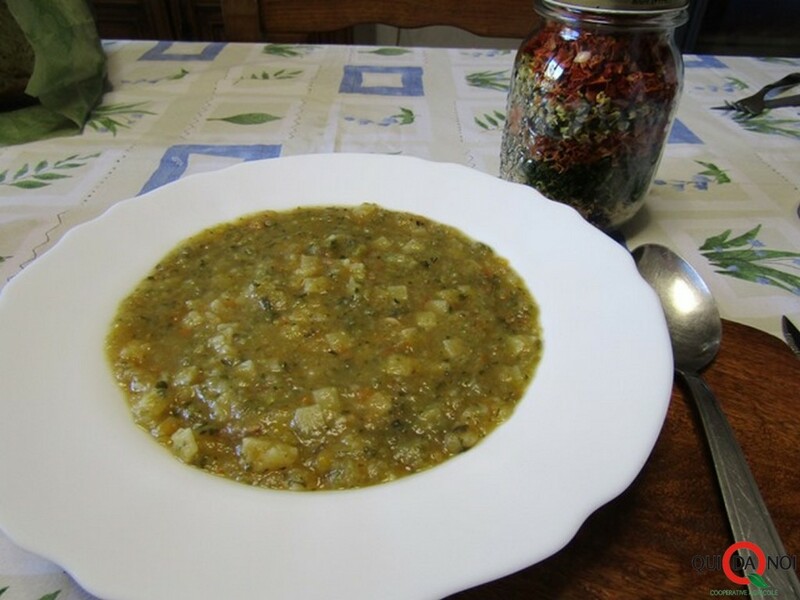 I made this simple and quick dish in collaboration with FARRIS, a company from Orsara di Puglia, in the province of Foggia. Today, to naturally add color to dishes while at the same time respecting the environment and seasonality, you can count on a company that produces dehydrated vegetables and plant-based flours, Farris s.r.l.. With their innovative production process, they make dehydrated, semi-dry and dry-frozen products that maintain nearly identical flavors and aromas to that of their fresh versions. 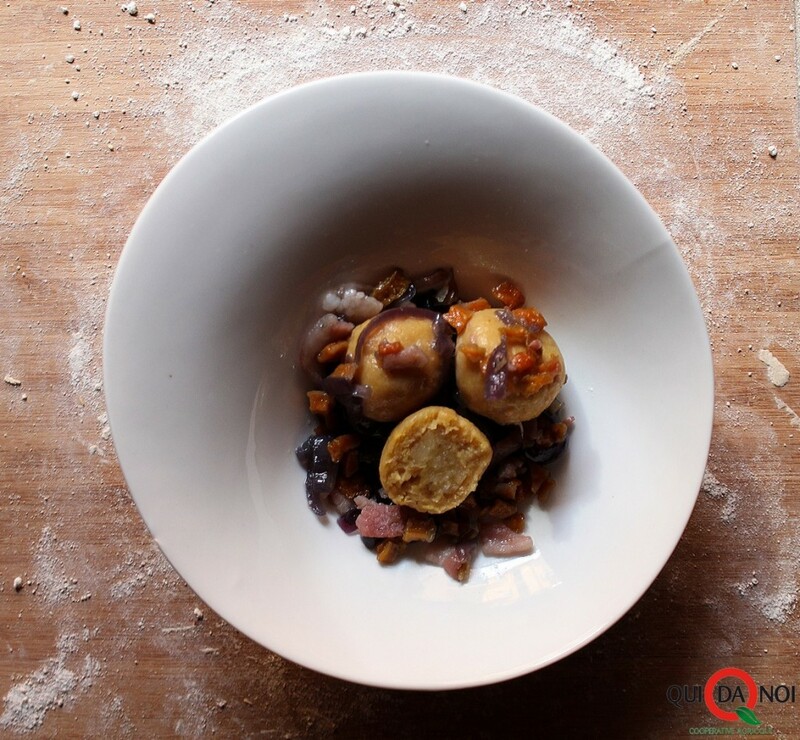 Gnocchi is one of those dishes that lends itself to versatility, and in any season it can be deliciously paired with simple or elaborate sauces. Once again, Farris is here to assist thanks to their vividly colored cubed pumpkin, which is added to this dish and pairs excellently with the color and flavor of the Tropea onions. © 2018 Farris srl - VAT IT02366210710 All rights reserved.